The editors of a/b: Auto/Biography Studies are pleased to present the annual Timothy Dow Adams Awards in conjunction with the 2018 International Auto/Biography Association conference at the Universidade Federal de São João del-Rei, July 11-14. The 2018 Timothy Dow Adams Faculty Award is made to a professor-student research team. Dr. Mildred Mickle of Penn State Greater Allegheny and Abandon Shuman, a graduate student in the Master of Social Work program at the University of Washington in Seattle, received the joint award for their interrelated presentations: “The Process of Writing the Transgender Multimedia Narrative: Doorways, Hallways, and In-Between” and “Mentoring Abandon Shuman’s Transgender Multimedia Narrative: Doorways, Hallways, and In-Between.” The prize includes financial support for travel and lodging as well as an invitation to submit an essay to a/b: Auto/Biography Studies. The winner of this year’s Timothy Dow Adams Student Award is Silvia Maria Fernandez Alves da Silva. Fernandez Alves da Silva is a doctoral candidate in the Program of Letras at Costa Universidade Federal da Paraíba. Her presentation is entitled, “The Testimony of the Slave Poet Juan Francisco Manzano: Voices of Memory and Silence.” The student award includes a travel grant and an essay mentorship with the editors of a/b. This year, the Timothy Dow Adams Awards were extended to include two travel grants awarded in consultation with the IABA Student and New Scholar Network. The winners of the 2018 travel grants are Ina Batzke, a doctoral candidate in the Graduate School of Literature at the University of Münster, and Agata Lagiewka, Lecturer in the School of Languages, Literatures, and Cultures at the National University of Ireland, Galway. These travel grants were fully funded by generous donations. Thank you to all who contributed. If you would like to contribute to next year’s Timothy Dow Adams Awards, please contact Ricia Chansky at ricia.chansky@upr.edu. These awards are made in honor of Timothy Dow Adams, one of the founding editors of a/b: Auto/Biography Studies and a longtime friend and supporter of the journal. His outstanding scholarship—including the two books, Telling Lies in Modern American Autobiography and Light Writing and Life Writing: Photography in Autobiography—have impacted greatly the study of life narratives. We hope his legacy lives on in these awards. The editors of a/b: Auto/Biography Studies are very pleased to announce the inception of The Hogan Prize, which will be presented annually in recognition of an outstanding essay published in a special issue of the journal. Essays selected for this prize are nominated by our guest editors and selected by an independent judge. The prize includes publication in the special issue and an award of $750. This award is generously supported by Routledge Journals. The prize was named in honor of two of the journal’s founding editors, Rebecca and Joseph Hogan, who worked tirelessly and creatively to expand the field of auto/biography studies. This award recognizes ingenuity in scholarly research and supports critical work that advances the field. The inaugural award has been made to Philip J. Holden for his essay, “Selves in Dialogue: W. Somerset Maugham and Dementia’s Stories,” which was published in the special issue, “Broken Dialogues” (30.2, Autumn 2015). The essay was nominated for this award by guest editor, Eva C. Karpinski, and selected by the guest judge, Leigh Gilmore. Dr. Gilmore’s response to the essay is published in 31.1, Winter 2016. Biofictional Histories, Mutations and Forms. Ed. Michael Lackey. Routledge, 2016. Biofiction, defined as literature that names its protagonist after an actual historical figure, first became popular in the 1930s, but over the last forty years it has become a dominant literary form. Prominent writers such as J.M. Coetzee, Joyce Carol Oates, Russell Banks, Julia Alvarez, Peter Carey, Hilary Mantel, Colm Tóibín, Anne Enright, Colum McCann, and Mich ael Cunningham have authored spectacular biographical novels which have won some of the world’s most prestigious awards for fiction. However, in spite of the prominence of these authors, works, and awards, there has been considerable confusion about the nature of biofiction. This collection of process pieces and academic essays from authors and scholars of biofiction defines the nature of the aesthetic form, clarifies why it has come into being, specifies what it is uniquely capable of signifying, illustrates how it pictures the historical and critiques the political, and suggests potential directions for future studies. This book builds upon Lackey’s essay cluster on biofictions in a/b: Auto/Biography Studies 31.1. Auto/Biography across the Americas: Transnational Themes in Life Writing. Ed. Ricia Anne Chansky. Routledge, 2016. Auto/biographical narratives of the Americas are marked by the underlying themes of movement and belonging. This collection proposes that the impact of the historic or contemporary movement of peoples to, in, and from the Americas―whether chosen or forced―motivates the ways in which identities are constructed in this contested space. Such movement results in a cyclical quest to belong, and to understand belonging, that reverberates through narratives of the Americas. The volume brings together essays written from diverse national, cultural, linguistic, and disciplinary perspectives to trace these transnational motifs in life writing across the Americas. This book grows from the 2013 symposium, “Auto/Biography across the Americas: Reading beyond Geographic and Cultural Divides,” convened by the editors of a/b: Auto/Biography Studies in San Juan, Puerto Rico. Auto/Biography in the Americas: Relational Lives. Ed. Ricia A. Chansky. Routledge, 2016. 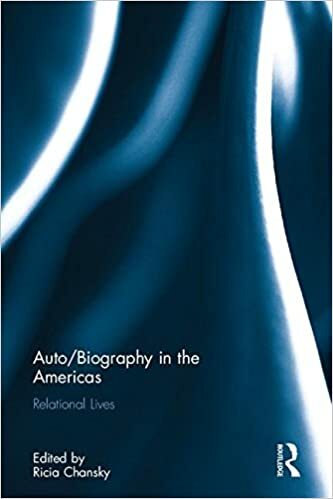 Auto/Biography in the Americas: Relational Lives brings together scholars from disparate geographic regions, cultural perspectives, linguistic frameworks, and disciplinary backgrounds to explore what connects narrated lives in the Americas. By interweaving scholarship on Afro-diasporic subjectivities, gendered narratives, lives in translation, celebrity auto/biographies, and pedagogical approaches to teaching auto/biographical narratives, this volume argues that connections between the contrasting locations of the Americas may be found in a shared history of diasporic movement that causes a heightened awareness of the need to belong and to thereby define the self in relation to others. This book grows from the special issue of a/b: Auto/Biography Studies, “Auto/Biography across the Americas” (30.1). Invented Lives, Imagined Communities: The Biopic and American National Identity. Ed. William H. Epstein, R. Barton Palmer. SUNY, 2016. How Hollywood biopics both showcase and modify various notions of what it means to be an American. Biopics—biographical films that focus on the lives of famous and notorious figures from our national history—have long been one of Hollywood’s most popular and important genres, offering viewers various understandings of American national identity. Invented Lives, Imagined Communities offers the first full-length examination of US biopics, focusing on key releases in American cinema while treating recent developments in three fields: cinema studies, particularly the history of Hollywood; national identity studies dealing with the American experience; and scholarship devoted to modernity and postmodernity. This book grows from the special issue of a/b: Auto/Biography Studies, “Biopics and American National Identity,” 26.1 (2011). We are sad at the news that Barbara Harlow has died. A link to The New York Times obituary appears below; a more extensive tribute will appear in a future issue of Biography. Barbara was also a mentor, friend, co-worker, and conscience for many at the Center for Biographical Research in Honolulu. She published on a number of occasions in Biography, was a participant in the symposium that led to the Baleful Postcoloniality special issue, and was one of the keynotes at the 2008 IABA conference here. We will miss her warmth and her fire. albeit, an innovative, MLA-indexed online journal of scholarship and pedagogy, invites scholarly articles, detailed lesson plans, book reviews, creative pieces, and nonfiction essays exploring the theme of literature by and concerning refugees. Please email 250-word abstracts or complete articles, along with a brief biographical statement,to submissions@albeitjournal.com by July 1. Complete articles will be due by November 1.
albeit may be found at www.albeitjournal.com and is a internet literary journal focusing on the intersection between traditional scholarship and teaching documents. We seek to bring the scholarship to the students, and offer professors and teachers documents easily fitted into existing syllabuses. Each issue of albeit will feature articles, lesson plans, book reviews, and like documents. In her 2007 book, The Formation of 20th-Century Queer Autobiography: Reading Vita Sackville-West, Virginia Woolf, Hilda Doolittle, and Gertrude Stein, Georgia Johnston undermines persistent gender binaries to explore a Modernist lesbian aesthetic of life writing, a scholarly act that served and still serves to open doors to innovative conversations on gender and sexuality. Georgia reads “autobiography as a critical tool—as a meta-tropic genre, as a genre that can critique assumptions about the formation of sexual memory, sexual consciousness, sexual roles, sexual subjectivity.” As we in the autobiography studies community know, the study of narrated lives actively changes lives and our perceptions of the lives of others. And, this transformative possibility is the real meat of Georgia’s scholarship. She describes her book as one “that reads early-twentieth-century lesbian autobiographies as they contest the generic conventions in order to rewrite early twentieth-century assumptions about human sexuality and sexual identity.” This work, however, demonstrates in a larger scope that autobiographical narratives encourage us to contest single stories that seek to press individuals into reductive singularities. Her scholarship stresses the need to read for multiplicity in lives and in life narratives. 2017 needs more Georgia Johnstons, that is, more scholars whose ideas transition from the pages of their books into the realities of our lived experiences. We’ll miss Georgia, but, hopefully, we’ll find ways to follow her lead. For more information about Georgia, see the following tribute. The editors of a/b: Auto/Biography Studies are very pleased to announce the winners of the second annual Hogan Prize. Arnaud Schmitt and Stefan Kjerkegaard are the 2016 winners for their coauthored essay, “Karl Ove Knausgaard’s My Struggle: A Real Life in a Novel” (31.3, Autumn 2016). The 2016 guest judge was Julia Watson, Professor Emerita of The Ohio State University. Dr. Watson’s response to the prize-winning essay will be published in our next issue (32.1, Winter 2017). Congratulations, Arnaud and Stefan! The Hogan Prize is an annual award presented to an outstanding essay published in a volume of the journal. The prize was named in honor of two of the journal’s founding editors, Rebecca and Joseph Hogan, who worked tirelessly and creatively to expand the field of auto/biography studies. This award recognizes ingenuity in scholarly research and supports critical work that advances the field. The prize includes an award of $750. This award is generously supported by Routledge Journals. To purchase an individual subscription of the journal for $35, please click here. We are delighted to feature two recent reviews of our special issue on African American life writing. Congratulations, Eric D. Lamore and all of the issue’s contributors. We are pleased to announce the release of The Routledge Auto|Biography Studies Reader, available here. We are proud that Routledge has chosen the reader as a featured book. Read an interview with the editors here. “The Routledge Auto/Biography Studies Reader collects together key theoretical essays in the field, creating a solid base for any critical study of autobiography, biography, or life writing. The editors of a/b: Auto/Biography Studies are pleased to present the annual Timothy Dow Adams Awards in conjunction with the 2016 International Auto/Biography Association conference at the University of Cyprus. 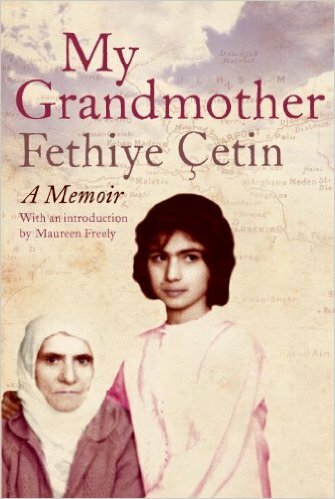 The 2016 Timothy Dow Adams Award winner is keynote speaker Fethiye Çetin, author of My Grandmother: An Armenian-Turkish Memoir. Çetin is a human rights lawyer in Turkey. The prize includes support for travel and lodging as well as an invitation to submit an essay to the special issue of a/b: Auto/Biography Studies that will be developed on the conference theme. Two graduate students were also selected to receive Timothy Dow Adams Awards this year: Nick Mdika Tembo and Orly Lael Netzer are the recipients. Tembo, a doctoral candidate at Stellenbosch University, will present “Writing the Self, Writing Human Rights Violations in Two Post-genocide Rwandan Testimonios” and, Lael Netzer, a doctoral candidate at the University of Alberta, will present “Conversational Poetics and Dionne Brand’s A Map to the Door of No Return.” The graduate student award includes a travel grant and an essay mentorship with the editors of a/b. All winners were nominated for this award by the IABA conference co-convener, Amy-Katerini Prodromou, and selected by the editors of a/b: Auto/Biography Studies. This award is made in honor of Timothy Dow Adams, one of the founding editors of a/b: Auto/Biography Studies and a longtime friend and supporter of the journal. His outstanding scholarship—including the two books, Telling Lies in Modern American Autobiography and Light Writing and Life Writing: Photography in Autobiography—have impacted greatly the study of life narratives.